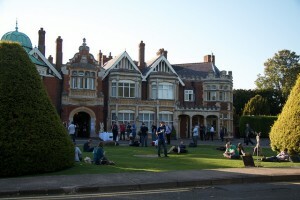 The 6th annual Over the Air will be held on Friday & Saturday the 27th & 28th of September at Bletchley Park. For two days we’ll be based at Station X, hacking in the shadows of the WWII Enigma & Lorenz code-breakers, and hanging out at the home of Colossus the world’s first programmable computer….we’re geeking out already! 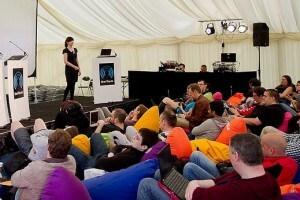 Over the Air is a unique tech-agnostic event for and by the developer community, featuring technical workshops where attendees can roll up their sleeves and tinker with new mobile & web platforms, operating systems, APIs & open hardware. The tutorial sessions feature real business cases, new insights and a healthy dollop of inspiration. Attendees are invited to stay overnight so that they can work on ideas, apps and hacks on the fly – to be entered into the various Hack Day competition categories and demo’ed on the second day. 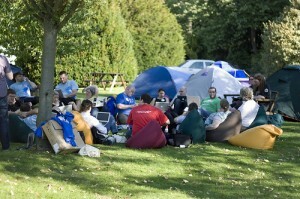 It’s a great vibe of bean bags, gadgets, knowledge sharing, hacking & lots of good fun. Because the event is free to attend (other than a small £5 donation to a related charity) we completely rely on the generosity of our sponsors to cover our costs and keep the event free to attend. If you’re interested in sponsoring the event, please get in touch with margaret at overtheair dot org.